How Can The Mortgage Company Foreclose On My House After It Assured Me That A Modification Of The Loan Will Go Through? In short, because they can. I can’t even begin to tell you the number of clients I have had over the past several years who have described to me the following story: They fall behind on their mortgage because of a loss of income or loss of job; they still want to keep their house, and they have heard about several new programs out there that allow you to modify your home loan; they contact the mortgage company, who in turn assures them that they do indeed offer such a program; the mortgage company tells the individual that all they need to do is fill out the paperwork, collect the necessary documents (and have them signed and notarized), send them into the mortgage company, and all will be well; after spending a huge amount of time doing precisely that, and turning everything in on time, the mortgage company turns around and claims that they never got the information; the individual home owner then fills all the paperwork out again, gets it notarized, and sends it all over; the mortgage company again claims that they didn’t receive all the documents, but to please try again. This happens over and over again, sometimes for as long as a year. All the while, the individual is being reassured by the mortgage company that a modification can be had, and therefore the individual should not worry that they are falling further and further behind in arrears. And I have seen situations in which a foreclosure sale date is set by the mortgage company because of the arrearage building up during the modification process, but the mortgage company still insists that the modification will go through. Only to pull the rug out from underneath the individual at the eleventh hour (literally, as in the night before the foreclosure is set to take place). I’ve come to believe that the foregoing situation is a tactic on the part of the mortgage company. In other words, it is a purposeful delay that they initiate so as to ensure either one of two things: 1) you give up on your efforts to reach a modification (because of all the delays and misrepresentations about whether or not they actually received the information), or 2) that the transaction results in a foreclosure, because they are wanting to get the asset off their books (because they probably should not have signed a loan agreement with you in the first place). Either way, it puts you in a heck of a bind, especially if the goal is to keep the house. Fortunately, there is a way to protect your home from foreclosure, while still working towards a modification of the loan. A St. Louis Chapter 13 bankruptcy can be filed, which stops the foreclosure proceedings, and allows for what is called a Motion to Negotiate a Loan Modification to be filed. This kind of motion results in an order from the court which requires that a formal negotiation be had between yourself and the mortgage company. If the mortgage company still claims that a modification cannot be had, the court will want to know why. But using the excuse of ‘we didn’t get the information you mailed into us’ is not going to cut it. The court will want to know why in fact such a negotiation failed. The St. Louis bankruptcy attorneys at Brinkman & Alter, LLC have been stopping home foreclosures for years, allowing people to keep their homes and maintain a sense of peace and balance. 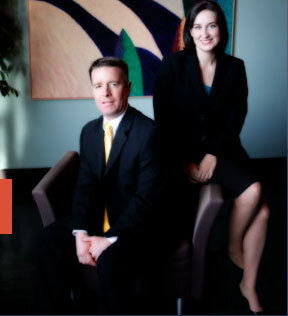 Our team of bankruptcy lawyers is ready to help guide you through the process, and get you the fresh start / clean slate that you deserve.